Lead actors Shraddha Kapoor, Ankur Bhatia, Siddhanth Kapoor along with Jigar Saraiya launched the music of the film at an event in Mumbai on August 29, 2017. Despite heavy rain in the city, the makers made sure they turned up for the launch event. Shraddha Kapoor, who will be seen playing Haseena Parkar, looked trendy in a denim skirt, white tank top and a long denim jacket. 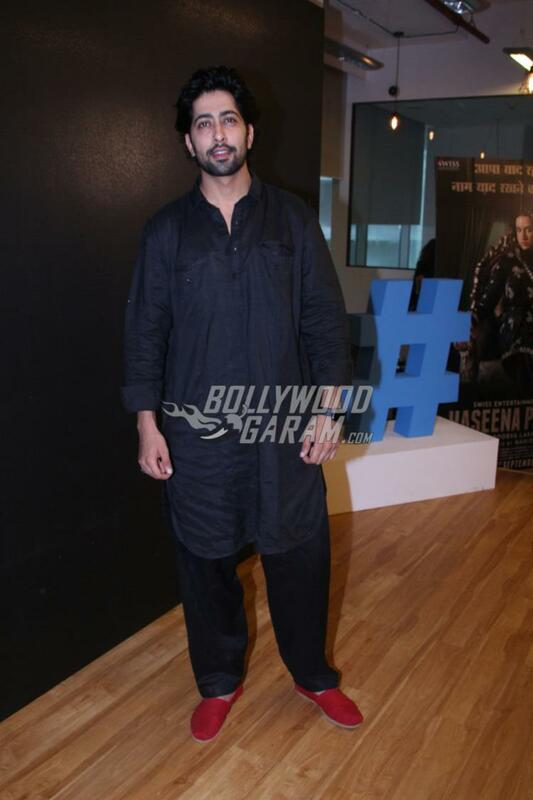 Ankur Bhatia, who will be seen playing Ibrahim Parkar, looked dapper in a black kurta and pyjama. Shraddha’s brother Siddhanth appeared in a casual shirt and a pair of denims. The music for the film has been composed by Sachin and Jigar. This will be the first time Shraddha will be seen playing a powerful role of Haseena Parkar. The audience has so far seen the actress playing girl-next-door roles, but now the Baaghi actress will be seen playing the role of a middle aged girl, who takes control of the underworld. Previous articleRajkummar Rao starrer Newton official trailer out!